Considering the range of activity that occurs at a typical construction site, it is not surprising that accidents and injuries are a fairly common occurrence. Workers employed by the general contractor and various subcontractors are performing a variety of tasks, from excavation to pouring concrete to plumbing and electrical work. So when an accident occurs, it may be difficult to determine exactly who was responsible. 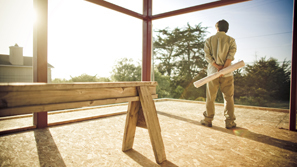 Sometimes the property owner or general contractor may be accountable. But under other circumstances, a subcontractor may be held responsible for injuries suffered by its employees or other workers. And general contractors and subcontractors alike may be liable for injuries that occur after a project is completed if injuries can be attributed to construction defects. Determining liability in a construction liability lawsuit may hinge on the contractually defined duties owed between the previous owner, general contractor and subcontractor, as well as recent court rulings. The Law Offices of Frank L. Branson has the expertise to investigate construction liability cases, and to help out who’s responsible for injuries and deaths and assist in holding them accountable. To learn more about our experience in general contractor and subcontractor matters, we invite you to contact the firm here.